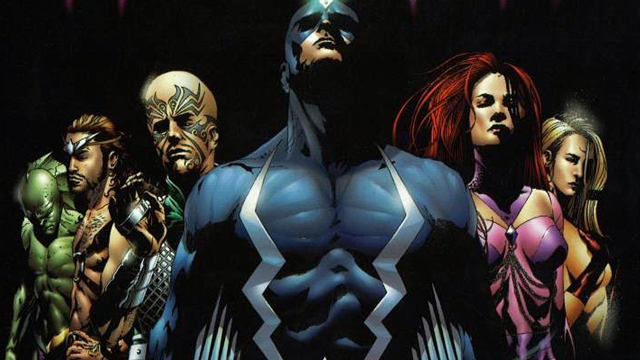 A few weeks ago, it was revealed that the plans for The Inhumans had changed at Marvel Entertainment, as the royal family of Attilan would be making their debut as a TV series, albeit with a theatrical run in IMAX theaters. Now, Marvel has announced that they’re keeping it in the family with Marvel’s Iron Fist showrunner Scott Buck tapped to serve as the showrunner for the series. Produced in conjunction with ABC Studios and filmed entirely with IMAX digital cameras, Marvel’s The Inhumans will run worldwide exclusively in IMAX for two weeks at the beginning of September 2017. ABC plans to then premiere the weekly series in fall, with additional exclusive content that can only be seen on the network. Buck’s previous credits also include Dexter, Rome, and Six Feet Under. His first Marvel effort can be seen when Marvel’s Iron Fist premieres on Netflix on March 17, 2017.